It has been a long time since I’ve done a post about AddOns, but I decided to do one since I get a number of emails asking me about this mod by people who have either seen my UI screenshots or watched any of my YouTube videos. One of the most common questions I get is “What is that Bar that is showing your cooldowns, and when they are up?”. That my friends, is a mod called ForteXorcist. I really do love ForteXorcist (for short, lets call it FX). One of the great things about it, is that it lets me look in one place quickly to see where my Cooldowns are at, instead of looking to each ability itself. FX provides a bar with time markers and each spells icon slides along the bar as the cooldown expires. That means if a CD is at the 30 second marker you can track where that ability is, and when the rest of your cooldowns will expire. You can see ForteXorcist in action by watching any number of my Videos over at my YouTube channel linked here. I have my Cooldown bar positioned right above my Grid frames, and in between my player and target unit frame. This allows me to quickly see where all my spells are, without diverting my attention too much from my player’s location, and my Raid’s health. As spells come off cooldown (and slide from right to left), I get a pop up notification letting me know these spells were available. This pop up also makes a slight ‘pop’ sound and flashes as you can see in the picture above, alerting me of this ability. For classes with a number of cooldowns, FX can be fantastically helpful. 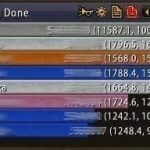 Not only will FX track ability cooldowns, it will also track Trinket internal cooldowns, Ashen Verdict Ring Procs, Lightweave Procs, and any other proc that has a ICD. Setting up FX is fairly simple. You can access the menu via “/fx” and unlock the panes. For the most part it comes pretty well set up and needs minimal set up. If you download it from Curse, it comes with a pre-package for each class. Now, ForteXorcist does more than just track cooldowns. You can also set it up to track buffs, debuffs, on you, your targets, and your raid members. For those of you who are ‘Renew Spammers” you can use this to track my renews on fights that require you to cast renew a lot. It will show you how much time is left on each target and the point when each will tick. FX has become a mod that I have been very excited to have found. Especially in Icecrown I have found squeezing out each and every cooldown to be pivotal to our successes on Heroic 25 and Heroic 10. 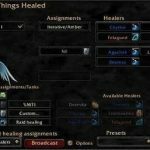 I strongly encourage everyone to consider using this mod, as it is invaluable to be able to know when each of your spells will be back at your fingertips.